Inbound marketing rests on three basic pillars: SEO, content marketing and social media marketing, and all of them must be rolled into our strategy to combine the techniques, actions and channels in an aim to improve branding and enhance our online visibility. But enough theory. I’m sure by now you’re asking yourself where do I start to get my inbound marketing strategy off the ground? Let’s take it step by step. Before we start to think about a strategy we need to be clear on what our company’s mission is, as well as the messages and values we want to convey. According to recent data published by Mashable, 80% of users prefer to get to know a company through its own content rather than through traditional advertising. Waste no time looking for everything that identifies your business to make it stand out. 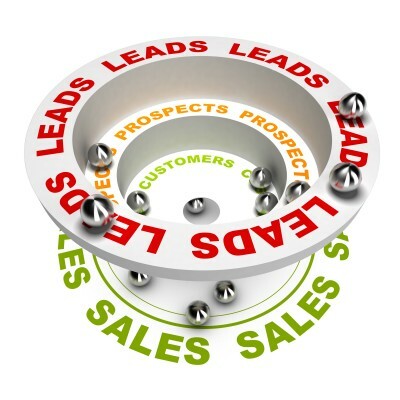 In order for inbound marketing to work, available resources must be established. Choose the content to convey and decide who the most appropriate people to produce and distribute it are. Blogs, forums and social media are great allies here to make content dynamic. Of course, results have to be measured regularly in order to fine-tune and enhance everything generating good results. Data offered by HubSpot asserts that companies on Twitter with an average of between 51 and 100 followers report as much as 106% more traffic than those with fewer followers. What’s more, all of those with corporate blogs generate up to 126% more leads. Gone are the days when strategies were launched based only on socio-demographic data. Knowing consumers is no longer an option for any forward-looking company. You have to know their desires, their problems and their taste. Don’t forget that this is the human to human era and brands have to prove themselves to be as human as possible and convince that they not only serve a function in the lives of their consumers but also in society. 4. How are we going to position ourselves? This may be one of the points that takes you the longest. Identify the key words you need to position your content. Visibility is extremely important for making our strategies scalable. Use all of the know-how from the customer snap-shots and your knowledge of your company to establish the terms of your visibility. The time has come to get down to work. We already know our customers’ interests and concerns. Now we offer a response with original, quality content that truly adds value and responds to the identified insight. Remember that in Social Media Marketing being on social media and channels just for the sake of it is no good. All content must be tailored to the channels that are truly of interest to your target audience. Forget the rest of them. Always customize content. 61% of consumers say they feel closer to a brand when it offers them customized content, as reported by the Custom Content Council. Consumers don’t want to be sold to or told what to do. You have to guide them naturally and let them be the ones to make the decisions. So it’s a good idea to make it easy for them. To draw their attention, don’t hesitate to use calls to action or landing pages (according to Mashable companies that increase these tools by between 10 and 15 increase their leads by 55%). Take care of things down to the last detail because what’s at stake here is converting users into consumers. We don’t want to wrap up without offering you some food for thought, published by HubSpot: Inbound Marketing techniques generate up to 54% more leads than Outbound Marketing techniques do.